Wash the celery and cut in pieces. Peel and core the apples and cut into slices. 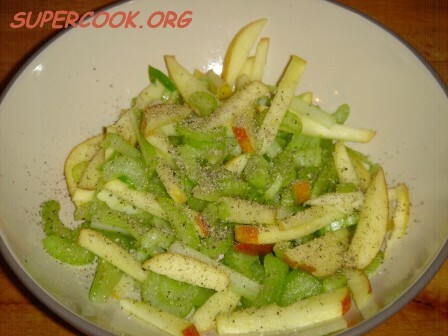 Mix the celery with apples. Dress with olive oil and lemon juice. Toss until evenly coated.